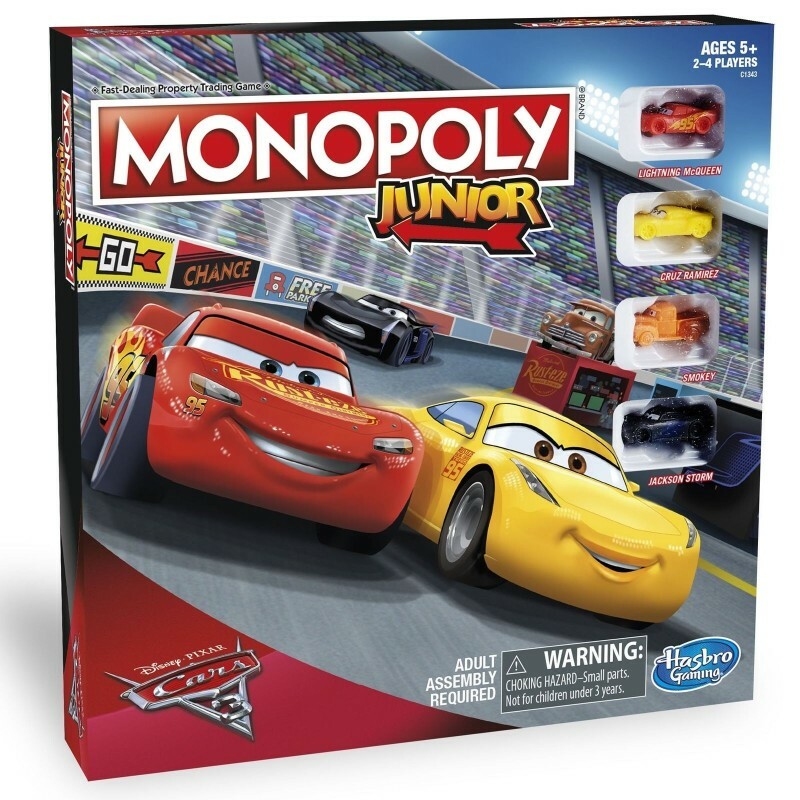 The Monopoly Junior: Cars 3 Edition game is a simple introduction to the iconic Monopoly game. With easy, familiar gameplay and favorite Cars 3 characters, kids can have a fun, fast time as they race around the gameboard. Players move as Lightning McQueen, Cruz Ramirez, Smokey, and Jackson Storm characters as they buy speedways and other memorable Cars 3 locations, collect rent, and discover a fortune in the Chance cards. The player with the most money takes the glory!